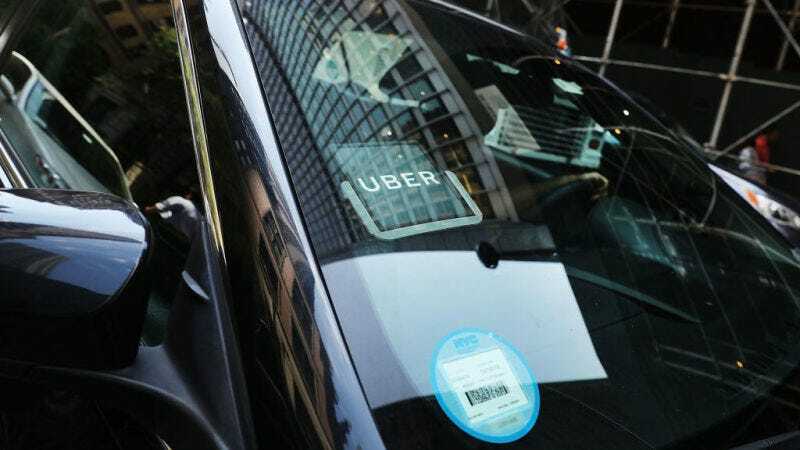 Uber has been on the hunt for a new chief executive to run the ride-hailing company, after Travis Kalanick stepped down from the job in June under immense pressure from investors. On Sunday, the company picked Dara Khosrowshahi, the CEO of travel company Expedia, to oversee its litany of problems, according to The New York Times. Spokespeople for Uber and Expedia didn’t immediately respond to a request for comment. The pick ends a fiery search in recent weeks that brought about intense speculation that Kalanick might even try to reassume control of the company. Khosrowshahi wasn’t the company’s first pick—nor, possibly, its second: former General Electric CEO Jeffrey Immelt and Meg Whitman, the chief exec of Hewlett Packard, were both in the running, as well, according to the Times. Immelt caused a stir on Sunday when he publicly removed himself from the field on Twitter, but the Times said he made the decision because it was clear the votes weren’t there to give him the job. Whitman suggested in July that she wasn’t interested in the job, either, but the Times said she was speaking with Uber’s board of directors as recent as this weekend about the role. Ultimately, however, both sides couldn’t agree on a number of issues, including what sort of role Kalanick would play in the company going forward, the Times reported. That left Khosrowshahi, whose candidacy wasn’t made public until Sunday. His background also includes a stint with IAC, a conglomerate that oversees websites and apps like Tinder. The experience with Expedia could provide valuable insight for Uber in how it plans to work with other fields of the transportation industry as it introduces more self-driving cars onto the road. Expedia works with car rental companies, for instance; Uber has a deal with Hertz, and there’s a potential for rental car companies to play a bigger role in managing autonomous vehicles in the future. The hiring of Khosrowshahi comes as Uber is hoping to move past a 2017 that has shellacked the company. Throughout the year, Uber has hobbled along from scandal to scandal, mostly from self-inflicted wounds. Kalanick’s exit followed a storm of criticism about the company’s misogynistic culture and a relentless stream of sexual harassment claims. The U.S. Department of Justice is investigating whether tactics deployed by Uber potentially violated criminal laws. And the company’s ensnared by a high-profile lawsuit involving Waymo, Google’s self-driving car project. Waymo accuses Uber of using stolen trade secrets to bolster its own autonomous vehicle ambitions. Uber has denied the claims, and the case is set for trial in October. Khosrowshahi also has to deal with an Uber board that’s boiling with internal battles between investors, mostly over Kalanick’s position within the company. Khosrowshahi could officially be introduced to Uber employees as early as today, Recode reports.